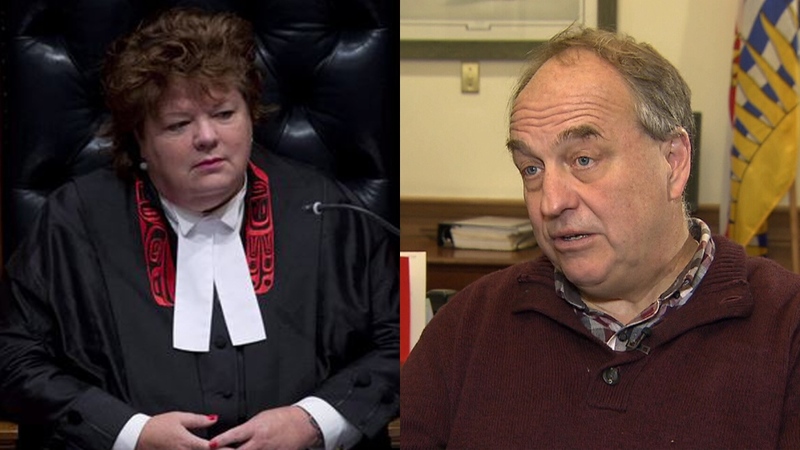 Green Party Leader Andrew Weaver is calling for British Columbia's longest-serving MLA to step aside as Assistant Deputy Speaker after a whistleblower alleged she was connected to a spending scandal at the legislature. 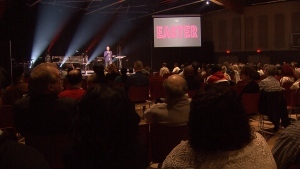 According to Weaver, the whistleblower came forward about the alleged "culture of entitlement he witnessed," adding that the former legislative assistant was allegedly dismissed for questioning Richmond South Centre MLA Linda Reid's expense claims. “It is for that reason that today I am calling for MLA Reid to step aside as Assistant Deputy Speaker of the House," Weaver wrote in a statement Wednesday. "Our focus at this time must be on restoring public trust in our democratic institutions. I cannot see how that is possible when one of the individuals named by this whistleblower is still holding a position of power and oversight in the Legislature." Reid later issued a statement of her own, but did not address Weaver's comments directly, saying only that she was "encouraged to see the Legislative Assembly Management Committee unanimously approve a comprehensive financial audit of the issues raised in the report from the Speaker" and that she has confidence in the independent review. "As the auditor conducts their investigation, I will make myself fully available," Reid added. "I will work with the auditor and any other investigators to ensure the protection of taxpayer dollars. I feel it's important to respect the process of the current investigations in order to ensure the public is provided with a full account of the entire situation." The exchange comes just days after a bombshell report released by Speaker Darryl Plecas accusing suspended Clerk of the Legislature Craig James and Sergeant-at-Arms Gary Lenz of "flagrant overspending." In part of that document, Plecas raises questions about more than $257,000 he alleges James may have received in 2012 as part of a retirement allowance program "that had in fact ended in 1987." NDP MLA Garry Begg also criticized Reid, who was Speaker between 2013 and 2017, for her alleged inaction after issues about the retirement allowance were brought to her attention in a 2014 report by then-human resources director Jo-Anne Kerr. "It’s disturbing that Linda Reid kept silent even though she knew the Clerk may have collected over a quarter million dollars improperly. We see evidence of inappropriate spending going back years under BC Liberal speakers, and there's still a lot we don't know," Begg wrote. "British Columbians deserve answers from the BC Liberals about exactly what they knew and why they didn’t act." CTV News reached out to Reid's office for comment on the specific criticism brought forward by members of opposing parties, but the MLA only offered her statement. Plecas himself, however, came to her defence while speaking to reporters in Abbotsford Wednesday, saying "to Linda Reid's credit, it was fair to say she started her term trying to do some of the things that I was able to do." Reid came under fire back in March of 2014 for filing expenses that included $48,000 to build a new desk in the chamber, nearly $13,500 for a new members' lounge in the legislature library and $734 for a display case for coffee and muffins. MLA Linda Reid (left) and Green Part Leader Andrew Weaver are seen in these undated images.